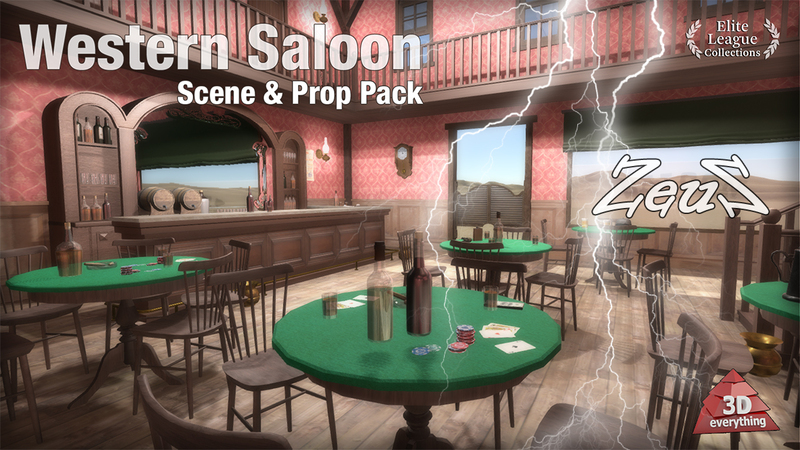 Western Saloon - This is supplied as a complete Western Saloon Scene with Walls, Ceiling and Floor all set up as subprops. 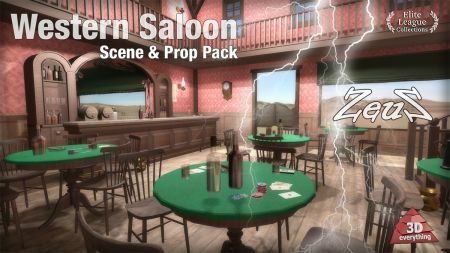 Description: This is supplied as a complete Western Saloon Scene with Walls, Ceiling and Floor all set up as subprops. Items against walls are attached for quickly and easily hiding. The Saloon Doors are animated with a PERFORM menu for Opening and Closing the doors. The Saloon Clock on the wall also is animated with a PERFORM for the pendulum to swing back and forth.